This breakout does everything for you, and can be easily interfaced with any microcontroller, even one without an analog input. This breakout board has the chip itself, a 3.3V regulator and level shifting circuitry, all assembled and tested. 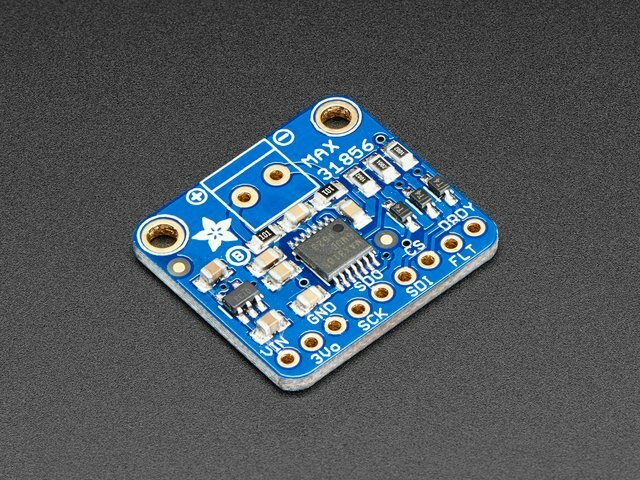 Comes with a 2 pin terminal block (for connecting to the thermocouple) and pin header (to plug into any breadboard or perfboard). We even added inline resistors and a filter capacitor onboard for better stability, as recommended by Maxim. 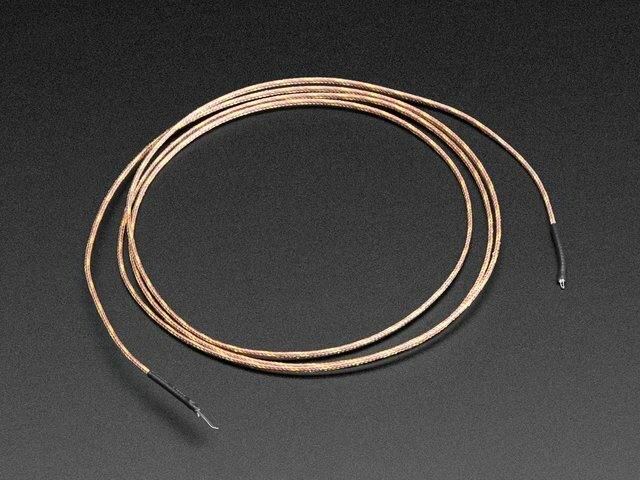 Goes great with our 1m K-type thermocouple or any other thermocouple, really! SPI data requires any 4 digital I/O pins. Cut the strip to length if necessary. It will be easier to solder if you insert it into a breadboard - long pins down. Be sure to solder all 5 pins for reliable electrical contact. This guide was first published on Sep 22, 2016. It was last updated on Sep 22, 2016.